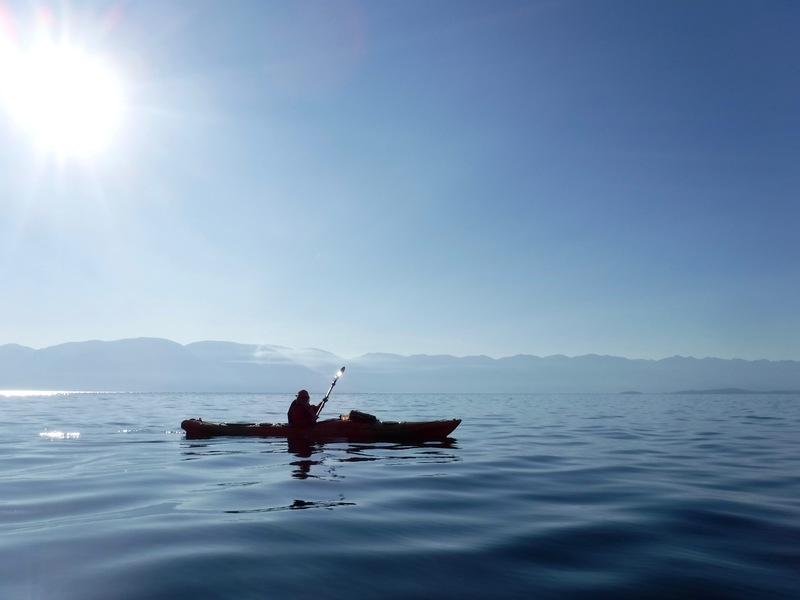 I am a contemplative sea-kayaker who at age 56, after renting boats for short paddles in Sitka, Alaska, decided to take up his own paddle closer to home. I build furniture in a shop in Missoula, Montana and teach at the Davidson Honors College at the University of Montana. I am also engaged in a long process of increasing biodiversity on one acre of land on the south edge of town. It is too much to say that I am a poet. It is more the case that poems happen to me and I do my best to write them down. 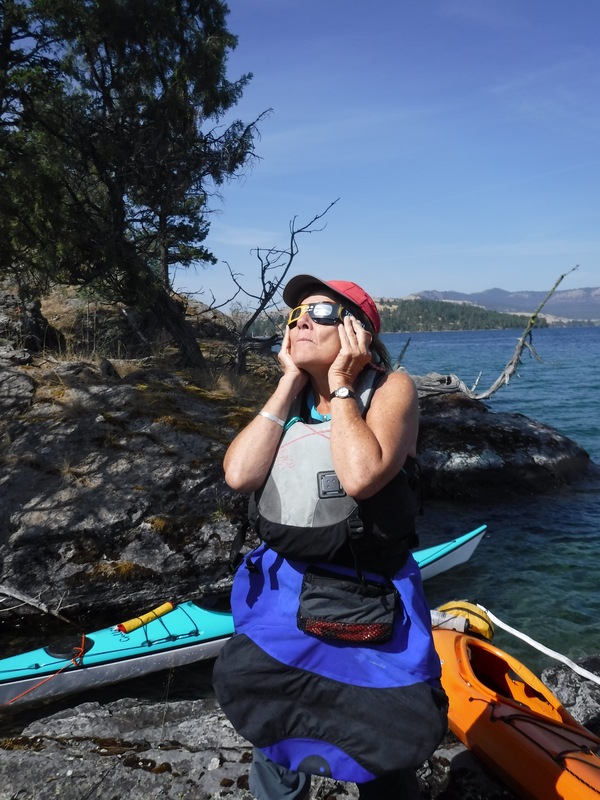 I began this blog in part because someone asked me to write about my experiences on Flathead Lake as a way of helping other paddlers overcome their hesitations about being on such a vast and changeable body of water. I write to help people experience the lake’s generous heart, range of moods, and potential dangers. 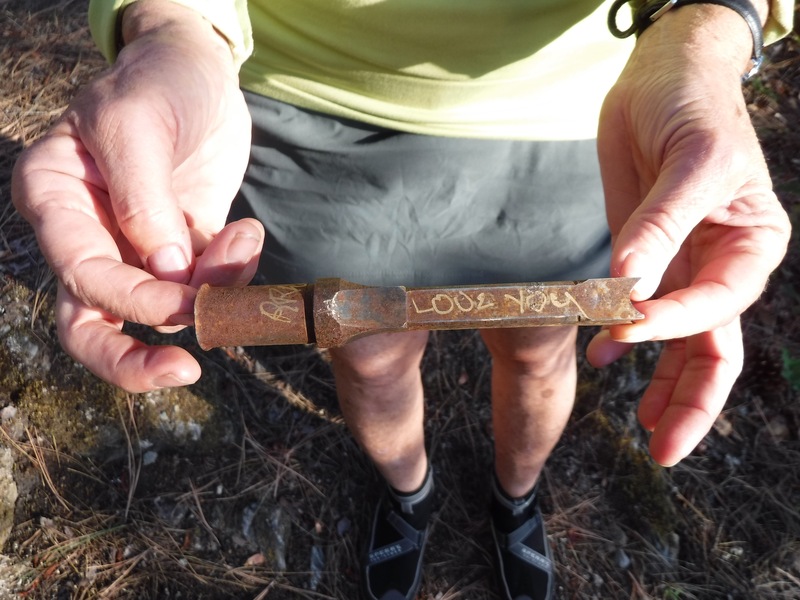 I also write about my paddles because I have come to love this lake, and therefore want to insure that its clean water, forests, and all the other creatures who depend on it remain available for as many generations as we can imagine. I am not an expert paddler; I am simply attentive to the process of propelling little more than a glass envelope through the waves. I delight in the mix of shadow and light, the colors of shallows and depths, and the sound of moving water. 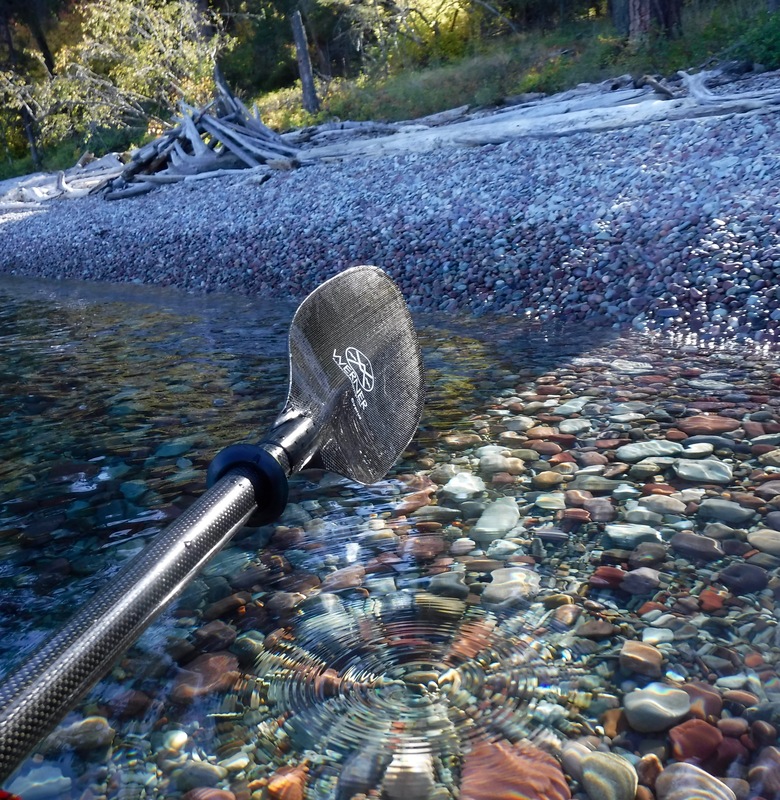 This past summer was a difficult season to paddle in Montana. Beginning in July, smoke from fires in Idaho began to slip over the mountains and fill our valleys. As the jet stream avoided our latitude more fires in the region poured smoke into the Missoula, Mission and Flathead valleys. Almost all of August and September were lost to a choking and hazardous particulate pall. As a result, I did not paddle nearly as much as I normally do; it wasn’t safe or wise. Out of the haze and the odor of burned forest I see a surprising image from this past summer—an image of bones. 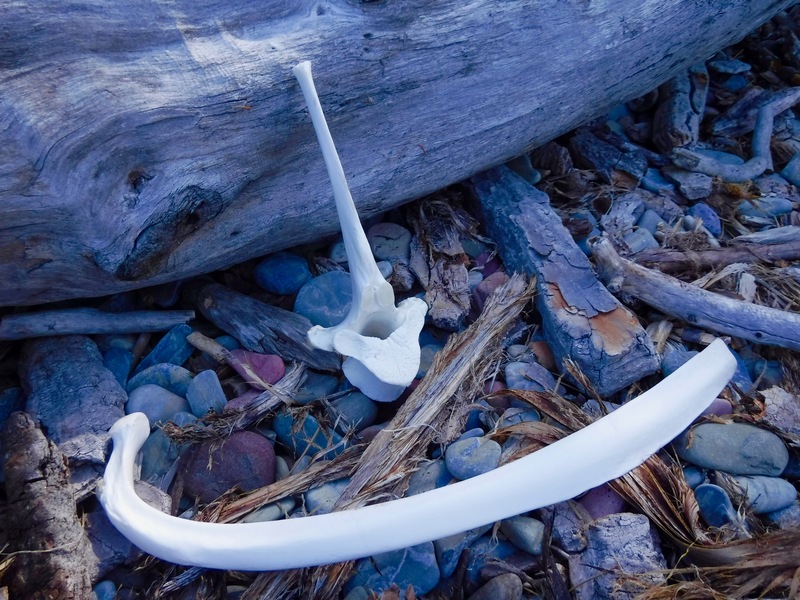 On a beach in a little cove on Cedar Island I found a beautiful, long, rib bone as well as a large vertebra. Knowing that no animals of this size live on the island, I suspect that some large ungulate washed down the Flathead River or rode the lake’s currents and washed ashore on this island. All the forces of nature worked on the remains and left these gleaming architectural elements of a once-living being. 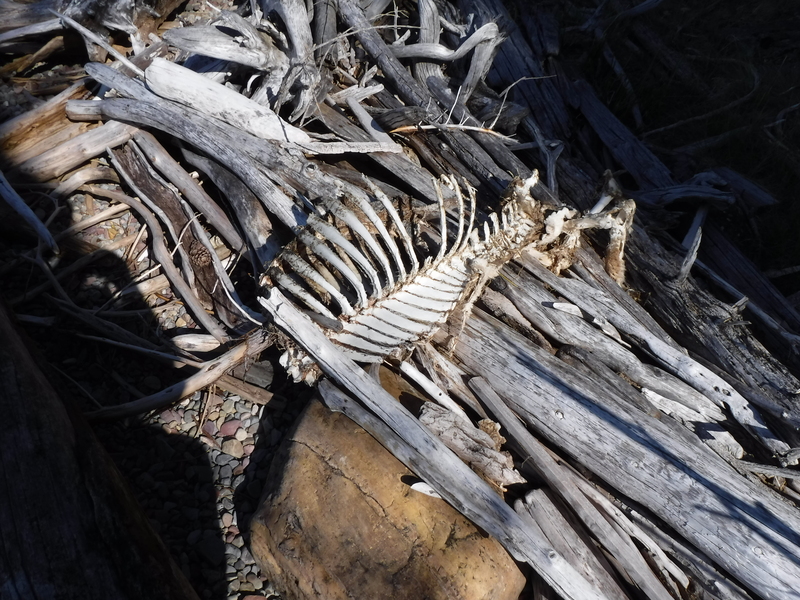 Then, on one of my circumnavigations of Wild Horse Island, I spotted a skeleton in the driftwood, the bones and sun-bleached limbs of trees nearly indistinguishable. I paddled ashore, secured Bluebird, and investigated. This was almost certainly the skeleton of a Rocky Mountain Bighorn sheep. Though the skeleton came to rest below one of the island’s cliffs, I have watched these sure-footed animals enough to know that it is extremely doubtful that an adult Bighorn fell in this location. The fact that the skeleton was headless confirmed my worst suspicions: someone probably poached a big ram and left the body to rot in the afternoon sun. Maybe it is appropriate that one of my final memories of 2017 focuses on bones, the remnants of death. But at the time I discovered these bones, I felt astonished by their beauty. I ran my fingers along the flutes of the ribs, marveled at their ligature, could not begin to comprehend the complexity of a spinal column. 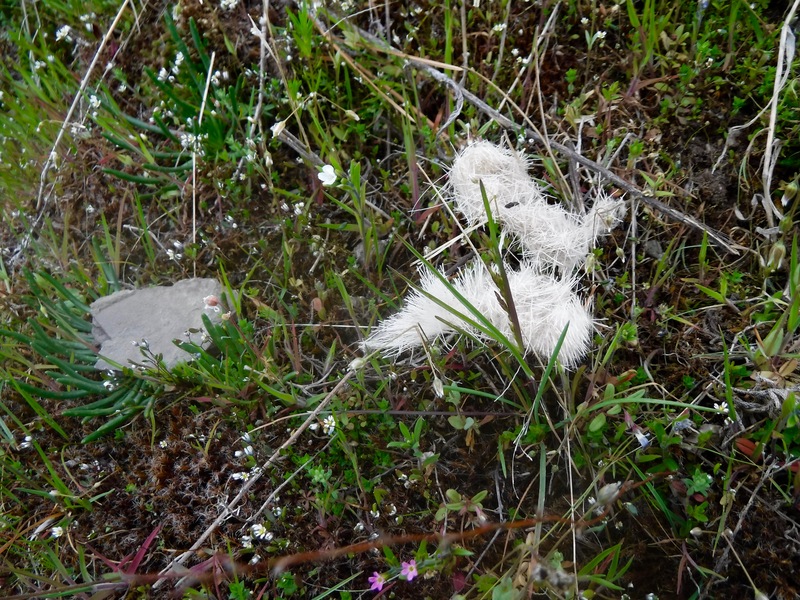 Nothing about these remains was gruesome, except the possibility that someone poached a protected animal. Bones seem important for another reason. The internal skeleton of an animal supports its whole structure, sets it up for life. These bones were something to admire not avoid. They revealed the essence of the animal. Ever since encountering these bones I have been reflecting on the problem of essence, the deepest, innermost aspect of life and its purpose. But this has been anything but an abstract philosophical project for me. I have been asking about the bones of my own life, not the once-broken radius in my right arm, the nodes in my spinal column that press on the nerves, but the essence of why I am here and what I must do. 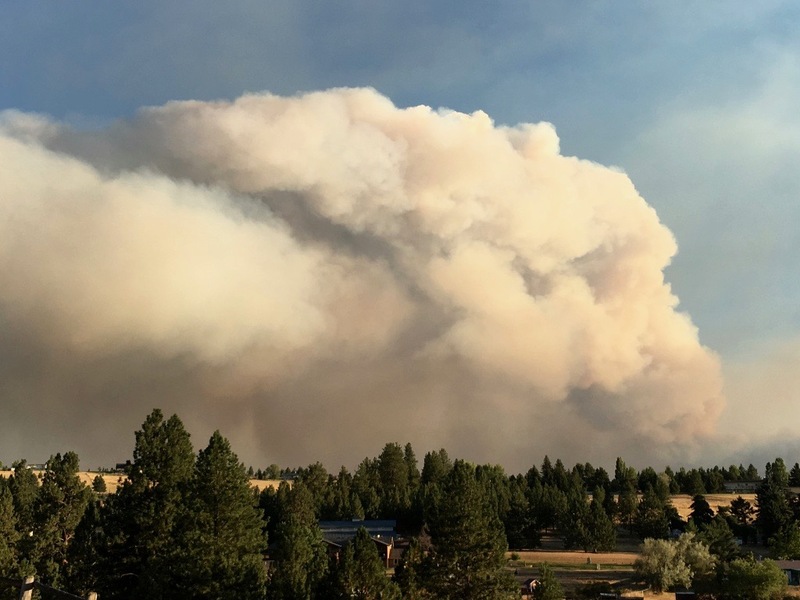 Trying to peer through the smoke and confusion at the turn of the year I am determined to pay attention to each encounter, to reckon with both the suffering and the glory, the heartbreak and the beauty. Summer smoke and all its metaphorical expressions in the form of political speech and posturing, tempt us to contract our attention. It seems more than likely that some people may actually be trying to divert our attention. This summer, for the sake of sanity, it seemed important not to see, smell, or listen. But the bones on the beach remind me to keep paying attention, to search out the inwardmost structure of things and how it hangs together or comes apart. Last summer I touched the bones, ran my fingers across their polish and curves. As if speaking to me they said, Behold. Attend. Bear witness. I carry this mandate into the new year. 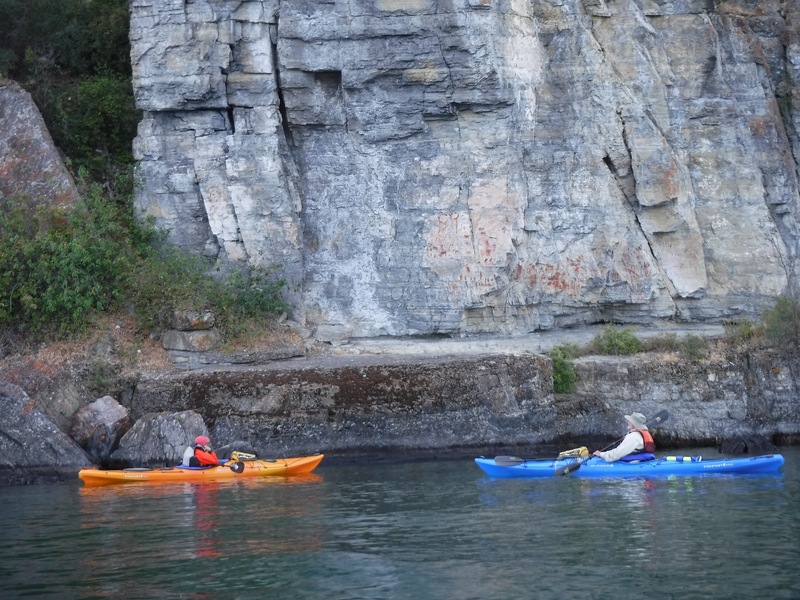 All the posts in this blog focus in one way or another on sea kayaking. This post, however, has nothing to do with my boat. Strangely, though it seems to belong in Ospreypaddler. 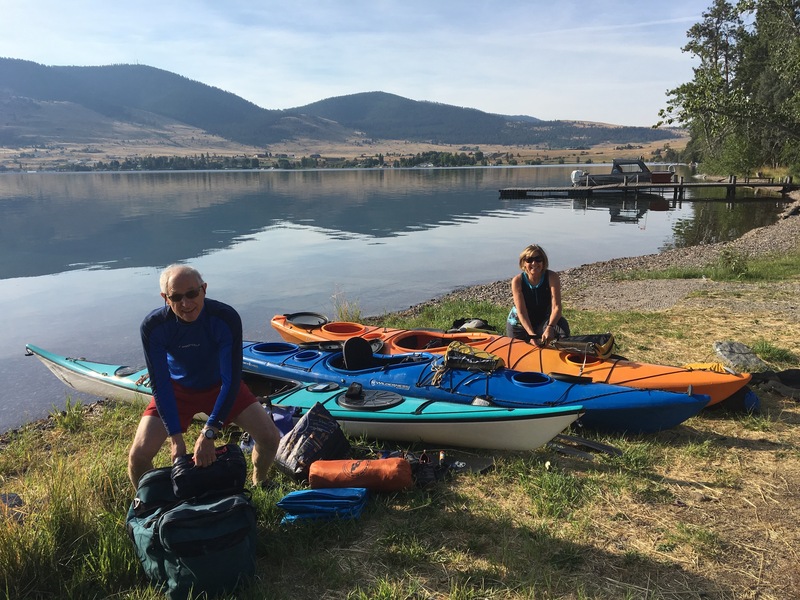 After writing this piece I realized that I approach a river, a mountain, and a bird in much the same way as I approach a paddle on Flathead Lake. With each encounter I have the sense that there is something to learn as I slide my boat into the water. In much the same way there is always something to learn from a river, a bird, and a burned over mountain. I step out of the unlit propane darkness of the Magruder cabin into pale morning light. In this steep, rough country it will be a couple of hours before sunlight lands in the meadow. 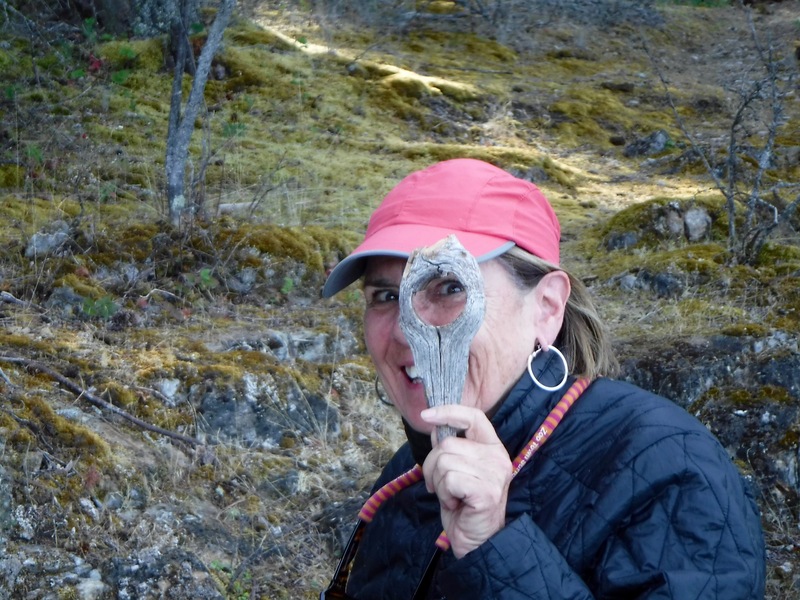 From the bottom of the valley where the Selway River flows through granite cliffs and burned timber toward the Lochsa River, I look at the terrain above me. I hear it calling. Instead of fishing with my friends I decide to try to hike to the top of one of countless high knobs above the river. I am happy to leave the cutthroats in the river undisturbed. Instead, I need to test myself, need to see if lungs and heart are working as they should. Before this trip I had not been feeling well. I’d lost energy, felt listless, unmotivated. Was this the result of two weeks of days in the nineties and air choked with smoke from surrounding fires or something more serious? This hike, I tell myself, will help answer the question. I cross the wooden bridge over the river, taking a moment to look down into the deep green pool below. Just past the bridge the “Kim Saddle” trail leads up through charred timber, thimbleberry, mountain maple, and fireweed. For the first few hundred yards the trail swings back and forth across a vernal stream sliding through a downward fold in the topography. Eventually the trail crosses the trickle for the last time and begins to switch left and right across the slope of the high place I want to reach. I pause now and then to listen to my lungs and heart, waiting for the engine to wind down. In time I crest a saddle and can see the upper reaches of the valley of the Selway and on toward slopes devastated by fire. Even from a distance I can see initial stages of recovery. The sun turns bare spires into pointed pencils of light. I leave the trail here and turn left toward the rocky crest I saw from the valley about 800 feet below. I see a cairn that someone built on the highest knob and fit a couple more pieces of granite into the structure. I turn back to the rock pile that hangs above the valley and take a few more steps. Suddenly I see a mottled bird leave a rock and make a slow fluttering flight down toward the valley to the south, its tail spread open but almost folded under its body, making slow flight possible. Because of the bird’s coloring and almost silent flight I first think I have startled an owl from a daytime nap. 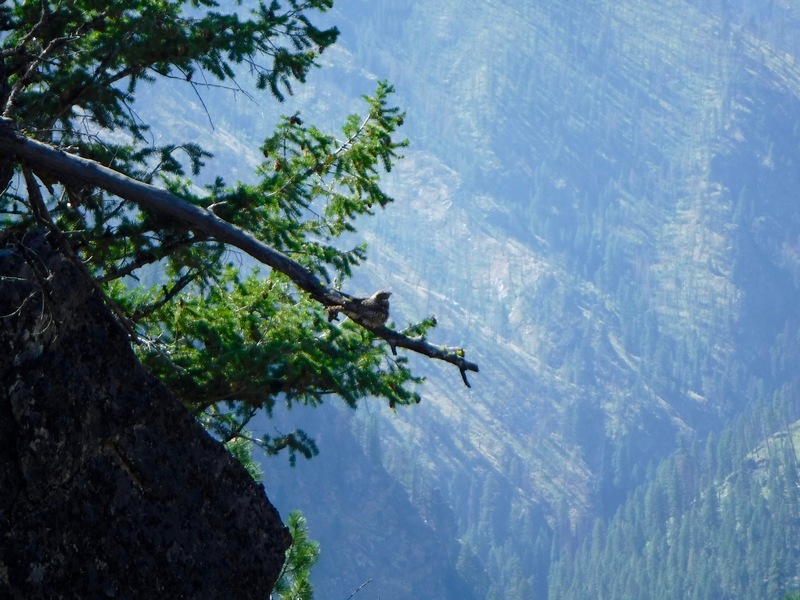 Pleased to have had such a close encounter with a wild bird I proceed toward my goal where a big fir log, black from fire, teeters on the final rock. To my surprise the bird circles back and flutters toward me. It is so close I can see its open mouth, long pointed wings and the distinctive white wing bar of a common nighthawk. At dusk I have seen them flying over the meadow down below. Each evening I have watched them dart, dip, and make their stutter flaps as they accelerate toward insects in the air. Up here, alone with the bird, I cannot tell what it is trying to communicate with its long silent wings and approach. In this extremely remote location is it unafraid and curious about a human being, or is it trying, without the unambiguous weapons of goshawk and eagle, to warn me away from its nest, a mere scrape in the gravel on the top of a mountain? I do not know the language of nighthawks but try to imitate its low clucks. It continues to make untraceable loops in the air, each time coming within a few feet of the hand I extend in greeting, arm and wing bearing a striking and evolutionary resemblance. I would give anything if it would land on my hand, but know this is unlikely. From time to time it pauses on a branch hanging over the void. Its long, pointed wingtips droop below its two-ounce body. If I do not see it land I cannot distinguish the bird from the flaky gray bark of the tree limb. The bird comes to me several more times after I turn from the final rock. I flatter myself with the thought that it likes my company in this extreme, lonely spot in the wilderness; but being more realistic, I think it is trying in its gentle and harmless way to warn me to leave its mountain hideout. Concluding that I should no longer be a disturbance, I bid the bird farewell with a few soft whistles, turn my back and descend the mountain. I know now that heat and smoke have sapped my energy and motivation, but these energies return when I decide to apply my legs to an ascent. I am all right after all. But more importantly, I have found the daytime resting place of a bird that otherwise ignores me as it plies the night, scooping its prey in the net of an orange and open mouth. I speed down the mountain, grateful we set aside places where two strangers from different worlds meet in the wilderness, try to understand each other’s language and movements, the human respectful of the needs and territory of the wild one it has unwittingly approached. We have met each other and caused no harm. On the summer solstice my wife and I camped at the lake, finding one of the few sites open for tents next to parking lot full of trailers and RVs. Our “overnight” allowed me to make a long afternoon paddle the first day and a morning paddle on the second day to some of my favorite islands and bays. Both days windy conditions kept other boats off the lake, but I ventured out anyway, my desire to paddle stronger than my fear. Both days I faced strong headwinds, quartering winds, and less often, a downwind ride, paddle held aloft like a pair of sails, all conditions that made it difficult to relax. One particularly strong gust of wind stripped the paddle from my hands. I immediately plunged my hands into the cold water to arrest my forward movement. Then, I hand-paddled backwards to intercept the drifting paddle before continuing my entrance into a new bay I wanted to visit. After losing and regaining my paddle I decided to pull a leash from my vest. Never before had I felt the need for this precaution. Naturally, windy conditions produce waves, waves that vary depending on lots of factors—the length of the fetch, the deflecting effect of islands, the influence of shoals, the temporary flattening effect of gusts, and so on. 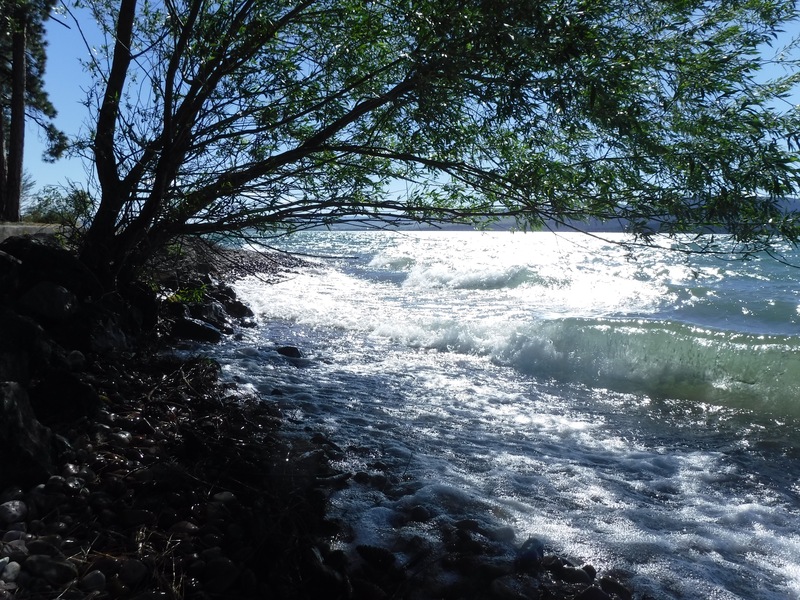 Some waves on Flathead Lake are powerful or turbulent enough to overturn a kayak. On both days around the solstice, however, I experienced something I have wanted to describe. When I am in the trough between waves the approaching wave seems like it will swamp the boat or overturn me. While these waves sometimes broke over the boat and sent spray into my face, to my amazement I know that waves also lift. Because boats are buoyant waves slide under and suddenly elevate the trusting paddler. I have never been able to photograph this phenomenon while paddling. Windy conditions demand my whole attention. Nevertheless, I have come to trust this process and believe it has implications for other aspects of our lives. The forces that potentially threaten us—an unexpected set of demands, a danger or fearful encounter, all these things also have power to lift us. Experience tells me, if we keep breathing (our own form of buoyancy), the energy of waves rolls under us. The waves have power to lift us above the troughs, the trough of fear, tension, or lack of perspective. Nevertheless, I have found it necessary to let this happen. We cannot stop the advancing wave, but we can allow it to roll under us and lift us above the turbulence. The other day a friend and I drove up the highway along the Bitterroot River on the way to a little spring fishing. We spoke about a question that Jedediah Purdy asked in a recent lecture at the university: “What are people for?” This is an old question, older that Wendell Berry’s book of essays on the subject and at least as old as the opinions of people who wrote early catechisms. My first paddle of the season points toward an answer to this question. It was very difficult to leave town. So many things clawed for my attention—concerns about one of my sons, a former student who wanted to tell me about her Senior Project, arrangements with a contractor who will rebuild our falling-down deck, the dandelions, oh, the dandelions. And then I hit the going-to-school and work traffic early on Friday morning; and then the tour bus got a flat tire across from the light adjacent Costco. I thought I’d never get out of town. But I persisted. The weather predictions offered an acceptable level of risk for a solo paddler in cool conditions. If I got off the water before 4 p.m., I might miss the lightning and the sudden gusts accompanying a cold front. After seven months away from the lake it felt good to step into 40-degree water, to drop into the boat, kick off and glide over the concrete boat ramp and into deep blue. Trusting the cloudy and calm conditions, I paddled across the strait to Wild Horse Island, humbly remembering what the first few thousand strokes of the season feel like. I paddled up the west shore of the island and noticed what I thought was a single Bighorn sheep on a ledge below the highest red crag. I said to myself, You might be able to hike to the top for a closer look. I pulled into Skeeko Bay, the only boat in the bay, and hauled Bluebird above the rising level of the lake. 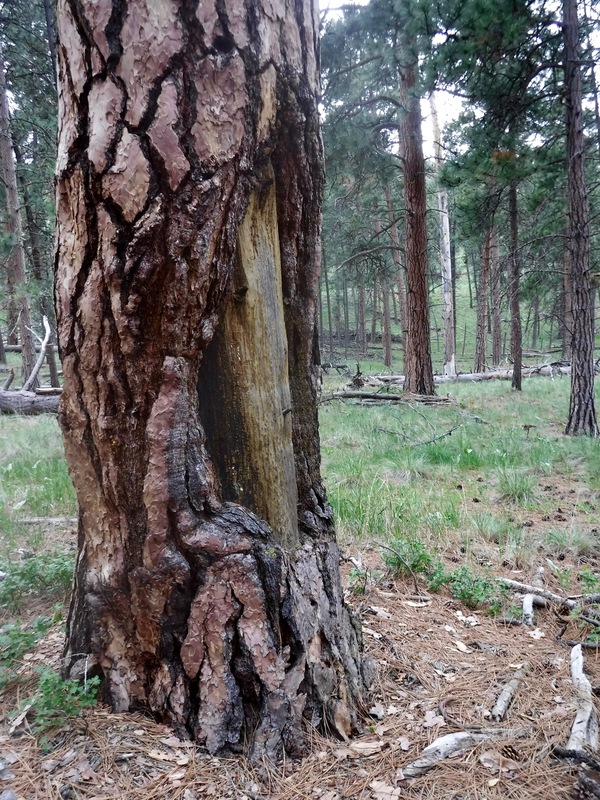 I vented my dry suit to help me cool off and started up the trail, pausing to take photographs of big Ponderosa Pines whose cambium layers had been harvested by first peoples visiting the island. I had promised these photos to an archaeologist friend. A winter with ample moisture and now spring rains made the island soft and lush. I found shooting stars all across the forest floor while everything else seemed about to bloom—arrow-leaf balsamroot, some variety of mustard, death camas, lilies, and all the other flowers whose names I seem to forget from one season to the next. I made my own switchbacks up the steep slope toward the red crag, trying to imagine where the Bighorn might be on the other side of the peak. When I was two strides short of the crest, she suddenly bolted, alarmed either by the vibrations of my soft footsteps through the ground or perhaps my scent. I could only get a glimpse of her back as she fled from me. I took the last two steps more slowly and began to scan the slopes and gullies below me. In only a few seconds she had descended a couple of hundred yards down the steep slope toward the lake. Now, though, I saw a newborn lamb velcroed to her side. The ewe had chosen an incredibly remote and almost inaccessible ledge to give birth to and then protect her lamb. Alarmed, she had retreated to another ledge beyond the range of my basic camera. I simply stood and watched. Besides, as I later discovered, a smudge of sunscreen on the lens compromised all my pictures: I would have to remember what I saw. A couple of wads of shed hair were the only sign of the sheep’s presence on the ledge. Content with having found the sheep that I first spied from the water, I turned back toward the bay. Simultaneously, an eagle and a pair of geese crossed over the island’s saddle but from opposite directions, the geese just under the eagle. At my feet lay countless mosses and flowers still waiting for that perfect combination of light and warmth to unfold. As the only person on a 2,100-acre island at least one answer to the old question seemed clear. I felt a duty to behold, to behold each creature in its struggle for existence, and to behold all the living systems that support the living while recycling the dead. We are here to notice the fire scar and the blooming flower, the shotgun shell case and a downy feather on the beach. Continuing to trust the conditions, I returned to my boat and resumed my paddle. At first I thought I would only paddle to the northern-most tip of the island; but when it seemed I would be allowed more, I continued around the island, down the east side and through the gap past Melita Island. In Osprey cove I found a mature bald eagle in a snag, the brilliant white head and tail giving it away on a cloudy day. Watching the bird, and hoping not to startle it into flight, I realized that we are also the beheld, the rest of creation beholding us to see how we do on the land and water we share. The verge of the New Year seems like a good time to both look back and look ahead. 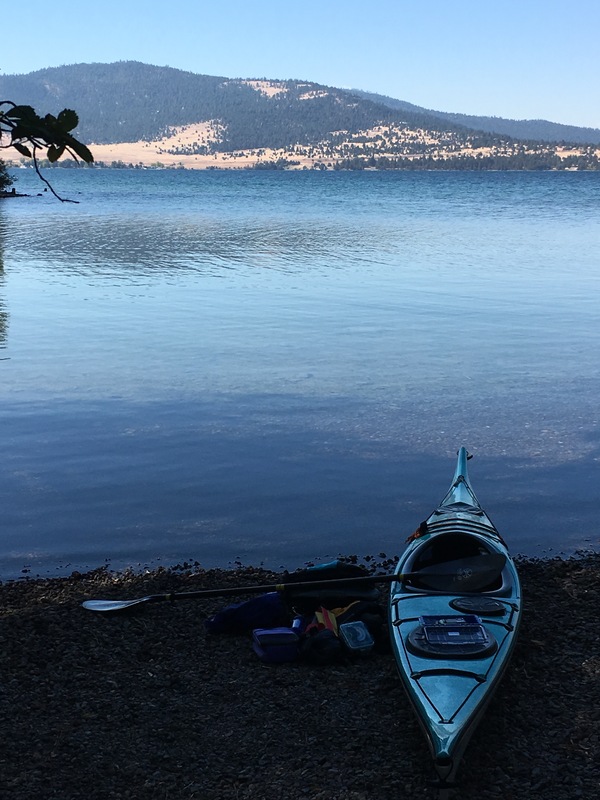 As I consult memories of the season past I am grateful for every opportunity I was given to paddle in 2016, whether threading the islands of Flathead Lake, making open-water crossings, paddling solo or as part of a pair. I feel thankful for my Cedar Island overnight, the dramatic storm I witnessed in September and the long, placid reach from Angel Point to Bigfork that followed the storm. But in reflection I am most grateful for something that had little to do with actual paddling. On one occasion, described in my post “A Quandary,” a friend and I paddled on the more-protected waters of Lindbergh Lake while a thunder and lightning storm blasted away at the peaks of the Mission Range to the west. Safe below, we were merely soaked in rain. Then, in mid-August my friend Glenn and I paddled among the islands of The Narrows on Flathead Lake during a brief rainstorm. On this occasion we took refuge, appropriately, in Safety Bay. In our shelter from the storm and waves we lay our paddles across our laps and simply listened to rain patter our decks and mark the gray-green water all around us with millions of little crowns. On both of these occasions our kayaks carried us into intimate contact with the return of natural rhythms—a little rain in midsummer, something we no longer take for granted. At a time when we could have turned back or scuttled our trips altogether, we moved into the storm’s darkness and the potential for getting wet. For our modest efforts we were rewarded with exposure to the life-giving gift of rain, its power to recharge aquifers and streams, as well as renew the forest. I occasionally need a chance to test myself by means of a long, hard paddle, or simply paddle to somewhere private where I can dive off a rock; but looking back on the year now gone, I am most thankful for rain that assured me that Nature’s rhythms are not irrevocably broken or thrown so badly into disorder that we fear for our lives. The sound of rain and all that it restores climbs now to the top of my list of gratitudes. Believing, at least for now, that I can trust these rhythms, I begin to look forward to the next season. In fact, I go to sleep at night imagining my favorite paddle, the strength and patience to complete it, trusting I may have the chance.